She's try to stay undercover (see what I did there?) 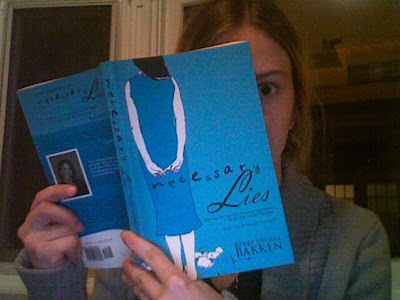 but the Twitter-renowned detective @theblacklily has been caught reading NECESSARY LIES by KERRY NEVILLE BAKKEN. Research for a case? Either way, nothing like a good book to make a girl look FAB.